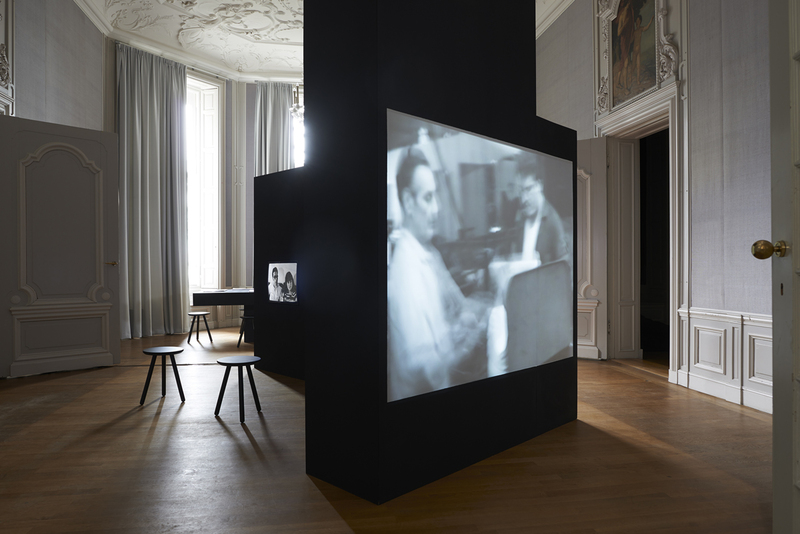 Until May 1, 2019, Art House presents TRANSFER Download, a new digital art exhibition with fifteen international artists and artist collectives, curated by Kelani Nichole in collaboration with the Carl & Marilynn Thoma Art Foundation. 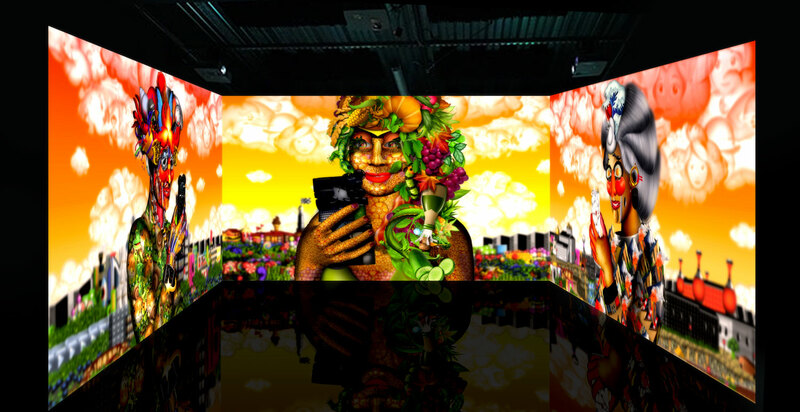 The exhibition is showcased in an interactive display chamber called a hyperspace, an immersive projection area controlled by visitors who can select from a menu of artworks to view. TRANSFER Download brings together the latest generation of artists engaging with powerful technologies of 3D animation software, gaming engines, and algorithmic simulation. TRANSFER Download will be on view at Art House, Santa Fe for one year, with exhibitions from the Foundation’s collection rotating seasonally. Spanning the global history of computer art of the past fifty years, the Foundation’s digital art collection includes some of the first algorithmic plotter drawings on paper, software-driven, generative, and custom-coded artworks, interactive works based on real-time gaming platforms, internet-based or networked art, and works that utilize LED and LCD displays. « Alice Unchained » by Claudia Hart depicts a fantasy world reminiscent of Alice’s escape to Wonderland, here embellished with the décor of our digital era, such as emojis and QR codes. 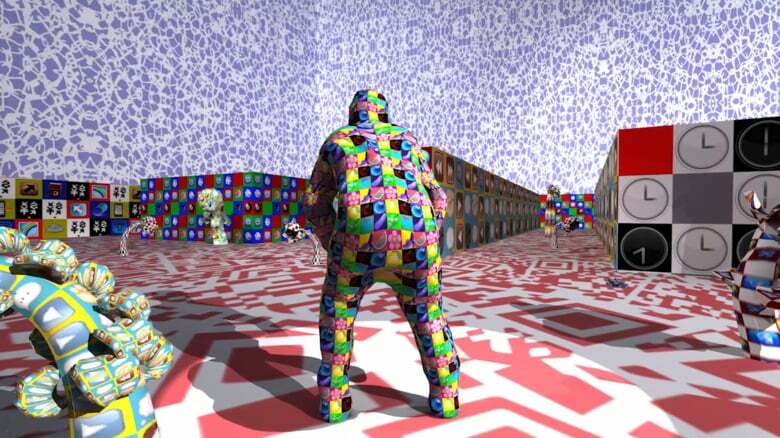 Theo Triantafyllidis creates live simulations using a gaming engine that are endlessly variable in activity and infinite in time, from which Seamless is an excerpt. Here, bio-mimetic robots and wild animals co-inhabit a landscape of limited resources. 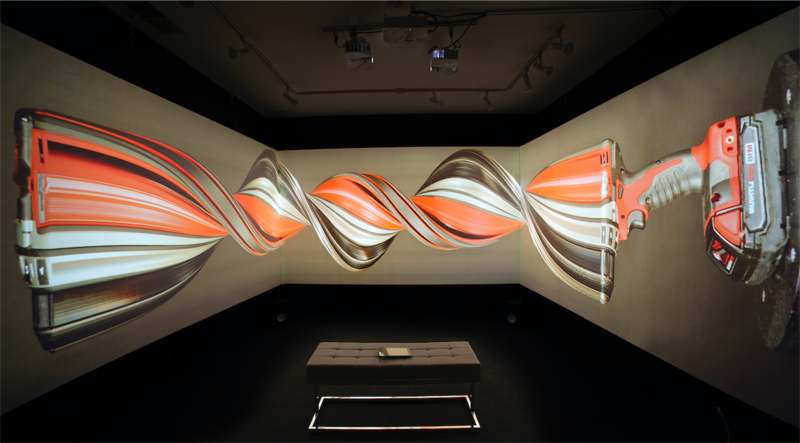 In Time Objects, Harvey Moon algorithmically bends video in-between pixels to create a multidimensional, surrealistic experience. Portraits in Landscape, Sunrise by Carla Gannis is inspired by Giuseppe Arcimboldo, the sixteenth-century Italian painter noted for his composite portraits of men made from vegetables and women from flowers. Artists in the exhibition include Lorna Mills, Lu Yang, Carla Gannis, AES+F, Claudia Hart, LaTurbo Avedon, Theo Triantafyllidis, Alex McLeod, Rollin Leonard, Sabrina Ratté, Rick Silva and Nicolas Sassoon, Snow Yunxue Fu, Phillip David Stearns, Harvey Moon and Daniel Temkin.